As a veteran of the U.S. military, you have in your possession the necessary ingredients you need to start and build a successful business — and they have nothing to do with finances. The success of a business — or any endeavor for that matter — rises or falls on the quality of the leaders at the helm. In that respect, your military training has given you a leg up on your competition. The values of honor, respect, integrity and accountability run deep in our military traditions, and those same values, properly instilled, can propel business leaders — and their businesses — forward. It was in the crucible of extreme hardship in North Vietnam's infamous "Hanoi Hilton" prison camp that I and my fellow POWs saw the kind of courageous leadership that inspired us to resist the enemy and — after years in captivity — to return home with honor. In my new book, "Engage with Honor: Building a Culture of Courageous Accountability," I share three key attributes that set these camp leaders apart and enabled them to suffer and sacrifice while inspiring the rest of us. 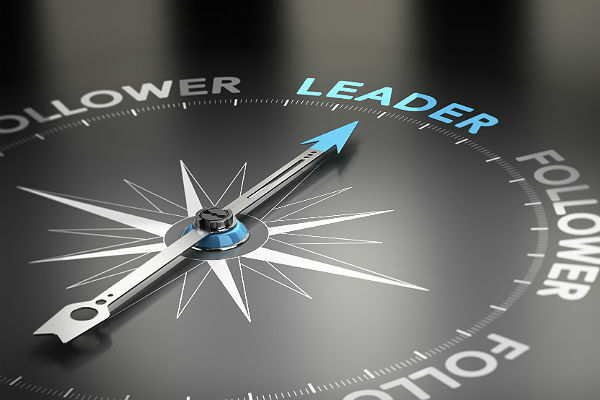 As you develop these same attributes into your leadership core, you can inspire trust and loyalty in those who follow your example, and you will be laying a strong foundation upon which your business can thrive. 1. Character — They knew right from wrong; they embraced the military Code of Conduct for POWs as the standard. Have you clarified what you stand for? What are your non-negotiables? 2. Courage — They consistently suffered torture and humiliation to do their duty, live up to the Code and set the example for the rest of us. Do you cave in to your doubts and fears, or do you "lean in" to them to keep your commitments, make tough decisions and do what's right? 3. Commitment —They did not waiver. They were beaten down, but they bounced back time and again. They believed in their mission, and they were loyal to our cause. Do you remain faithful to your values, and do you stay the course to achieve your goals? To lead with honor, it's essential that you are sold on the idea that you, the leader, must demonstrate strong character, courage and commitment. Moreover, leading with honor and accountability requires a mindset of humility — a willingness to engage in the struggle to balance ego and confidence with concern and caring for others. Like many attributes of leadership, this tension between confidence and humility seems paradoxical, and it's rarely easy for anyone. Believe me, as a "take-charge" personality and a former fighter pilot, I experience that tension daily. It is my core values and commitment that propel me to courageously engage in that battle. Growth is always a struggle because it requires making hard choices to let go of what feels natural, good and comfortable in order to reach for what we truly want — to live and lead with honor. It's tough because we have to: (1) guard our character, (2) courageously lean into the pain of our doubts and fears, and (3) steadfastly stay committed to our goals and responsibilities. It's a lifelong process, and that’s why we have to be resilient warriors — engaged in the ever-present struggle between our ego and humility. Growth is not for the faint-hearted. Not everyone has the temperament necessary to start and run a business. But, for those who do, the training and experience you have received in the military can put you on the fast track to success — if you personally commit to growing and leading with honor and accountability. Retired U.S. Air Force Col. Lee Ellis is the author of "Engage with Honor: Building a Culture of Courageous Accountability." As president of Leadership Freedom LLC, a leadership and team development consulting and coaching company, Lee consults with Fortune 500 senior executives in the areas of hiring, team building, human performance and succession planning.